I can’t recall another place like this, able to provide such a sense of peace. Previously lake Como was completely unknown area to me. I have been many times in Italy (it’s my absolutely favourite European country), but never had the chance to explore lake Como. But now I am able to confidently advise – the best time of the year to visit Como is in June. Then it’s green, fresh, pleasantly chilly at nights, lake water is flat, the area is not overcrowded by tourists yet and the mosquito bites are still avoidable. 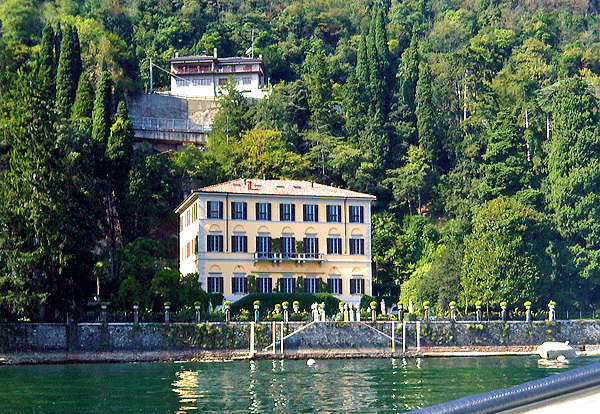 The locals often make the joke their lake became popular after the Hollywood star George Clooney bought a villa on Como. The number of the followers and curious tourists was enormously enlarged, after he settled the property. Unfortunately, the Italian enthusiasm and fascination of the famous neighbour, were shortly gone. At the moment, the lake is already crowded, noisy, a bit dirtier and about to lose its charm and innocence. Before Clooney, the local attraction was the house of the Italian designer Gianni Versace. Now (I was told) it’s owned by a Russian restauranteur. Anyway, Versace’s villa fame was unable to attract the thousands who arrive now on site for their celebrity hunt. Also the number of celebrities, who look for a property beside the lake, was visibly increased. An absurd contradiction comes to the surface. What the celebs are known to look for is privacy, silence and peace. Those valuable qualities of the lake are about to be lost with the celebs’ arrival on Como. 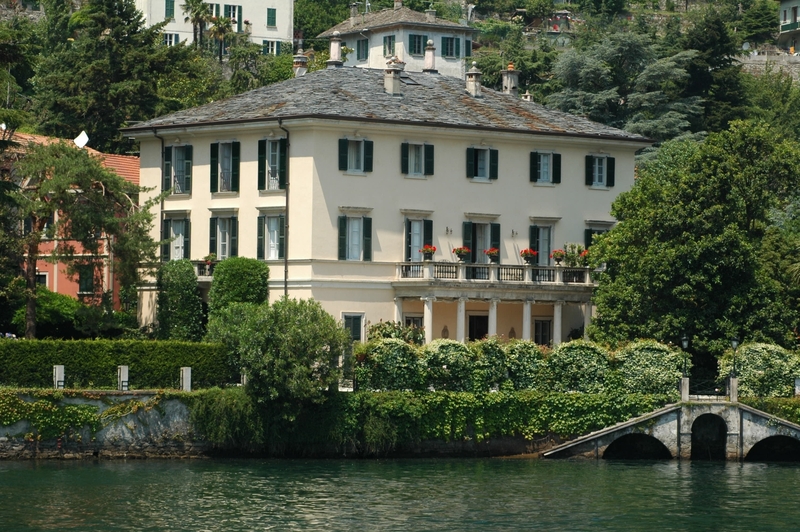 In regard to the latest rumours, Sir Richard Branson recently bought a villa at the lake. He denied though the information publicly and personally on Virgin’s website, by saying he would be more than happy to be invited for a tea in that villa. Mr.Branson went further by admitting the appointed villa was even not his style. 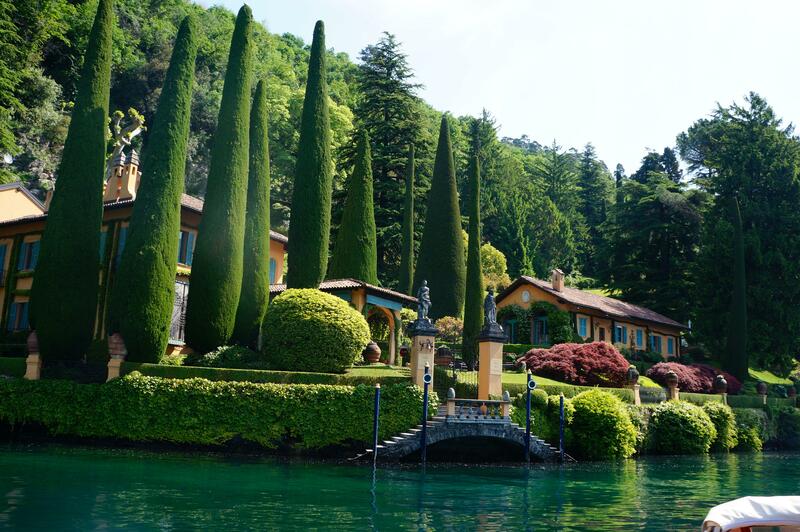 Wow…I believe this superb villa at lake Como is everyone’s style. This I can confidently declare, especially after the same house became my home for 5 fantastic days a couple of years ago. You are correct to guess, I can’t afford it, but in June, 2014 I organised and managed the stay of a VVIP group from the Middle East, that rented the villa. The place is like taken out of a fairytale. The Middle Eastern clients were so fascinated that finally were interested to buy the house. The estate owner agreed, in case the customer accepts his 9 digit offer in Euro. The monstrous required cost cooled down the investment interests and the deal was finally not closed. This stunning house built in the 19th century, could be reached only by boat. No other roads, no ground trails or paths, approaching the villa. A big plus in addition – no neighbours nearby. This is one of the biggest advantages of the villa. Despite that, I saw it by myself the privacy of the residents is no longer guaranteed. There is a large patio, fantastic for any kind of dining, comfy rattan furniture for coffee/tea attendance, both located right on the lake shore. The villa’s occupants are not able to use those areas freely, if demand their privacy and confidentiality. Lots of boats, full of tourists, frequently pass by and often stop right in front of the villa for taking photos, curious to reveal which celebrity lives inside. If you check on the photos in the gallery above, will notice at least the outdoor swimming pool is completely hidden and quite private. The sunbathing area around the pool is invisible to the boats. The villa provides variety of facilities – private boat docks, one for the guests and one for the staff, cinema, gym, BBQ area, tennis court, private kitchen, laundry. Within walking distance is located a small house, suitable and well equipped for staff and higher number of guests. In this particular area, Lake Como is not a place for intensive sport activities. Quiet, peaceful and green it’s a pure joy for the eyes, so the laziness and relaxation are very welcome here. Most of the people come to experience the daily boat tours. A water taxi could be hired everywhere in and around the lake. The booking of an entire day boat tour, includes stops in small towns along the shore, where the visitor can walk, check on the sightseeing, relax, join wine tasting show and pick some from the local meal offers. Very popular also are the day shopping tours in Milan and Lugano. I am not sure if the swimming here is allowed, but I saw no swimmers in the lake. Not aware of the fishing permission neither. Probably the locals could advise in those directions. Surprisingly, a lot of English speaking Italians could be met in here. Also an impressive number of foreigners, living at the lake for ages, mainly engaged with the tourism. I would highly recommend some SPA procedures, offered almost everywhere around the lake Como. Excellent quality and truly relaxing atmosphere for the client. I went personally to the complex Casta Diva, which is approximately 40 minute boat trip from Lenno. Great SPA, stunning terrace with a breath-taking view, delicious food and aromatic local wine. Be prepared to get amused and to remain careless. 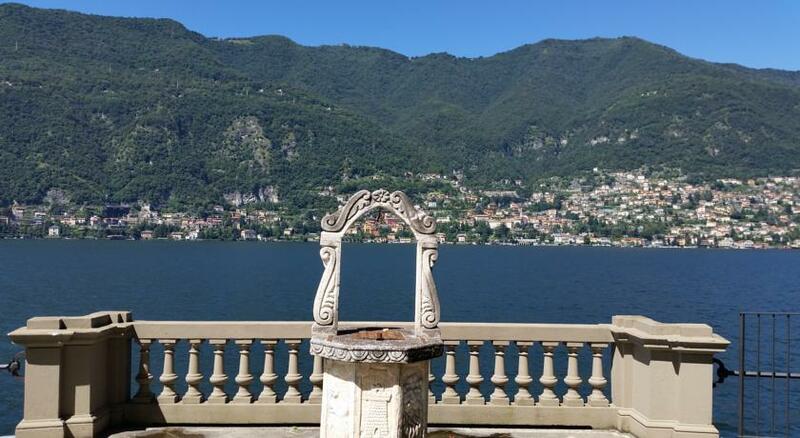 At lake Como no one rushes to nowhere. The easiest and cheapest way to get to the lake from Milan is to take the train at Milan Nord Cadorna station to Como – (about an hour) Ticket price per person is about 5 euro. 6. Bellagio could be reached also by a rental car from Milan’s airport. It takes from one and a half to two hour drive. I won’t recommend it though, as the rental car becomes useless in the next days. All the transfers go through the lake by water taxi. Organise your trip wisely and then enjoy it! 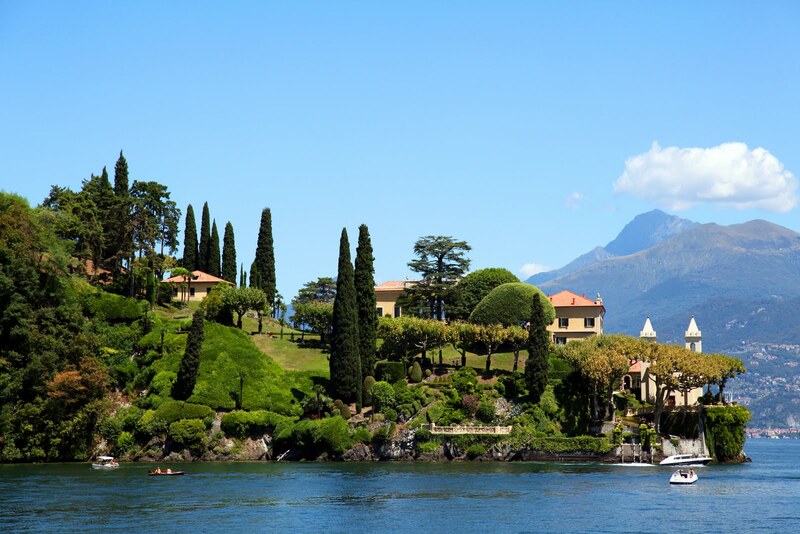 Lots of peace, relax and freedom to be found at lake Como, which is a fantastic getaway yet.